For those seeking a Caribbean experience that’s exclusive, private, nature-filled and Asian-tinged look no further than Aman’s Amanyara Resort in the Turks and Caicos. 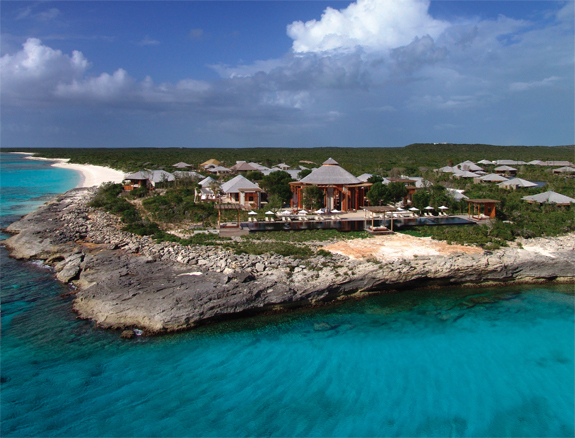 Most reviews of the Amanyara stress the exclusivity of this resort. And with good reason. 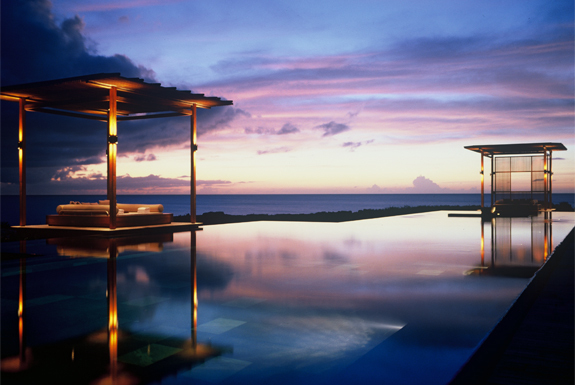 The Amanyara has seen its share of celebrity guests. 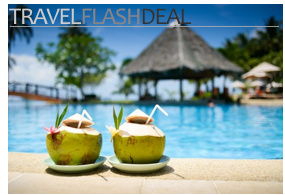 Staying here you’ll feel like a celebrity from the moment you are picked up at the airport by the resort’s Land Rover and escorted to your own private villa. 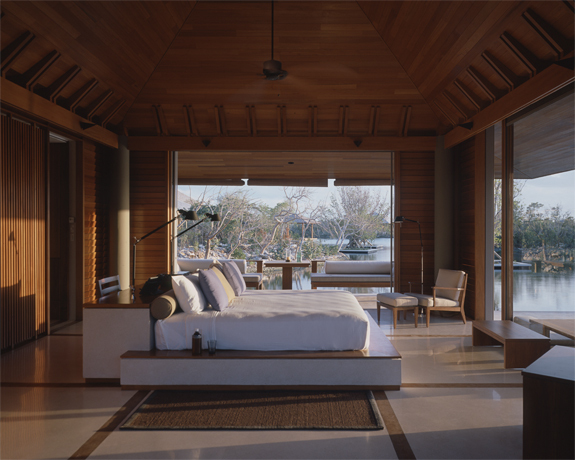 Each villa is outfitted with a freestanding tub, a private sundeck and a decor that’s perhaps best described as “modern Asian minimalist luxury.” The accommodations are gorgeous! (See photos, below). 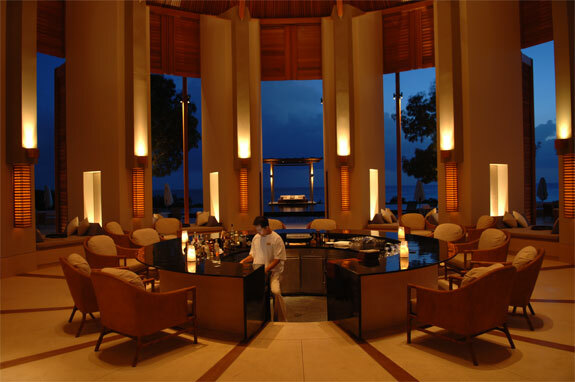 The level of service at the Amanyara feels exclusive too. Without being imposing, the staff is expert at asking what you’d like and trying to meet your needs. On that Land Rover pickup from the airport, for example, you’ll be asked if you want to choose music for your ride from a menu of CDs. 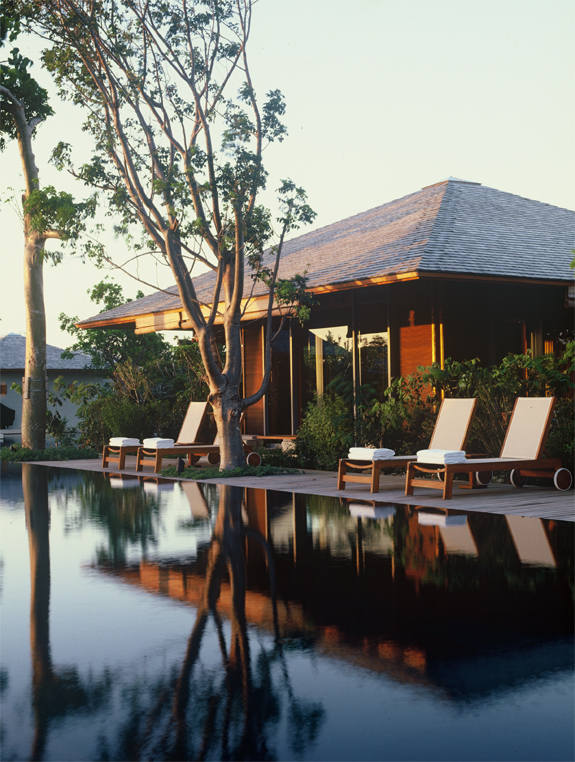 Want to have your breakfast at the Amanyara served to you by the infinity pool at 1pm? No problem. 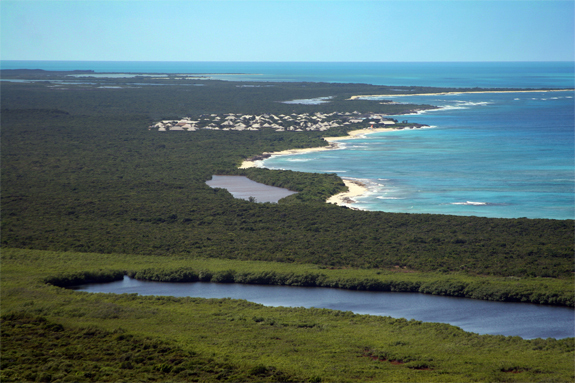 What goes less remarked about the Amanyara is its location in the middle of a 5,000 acre nature reserve. 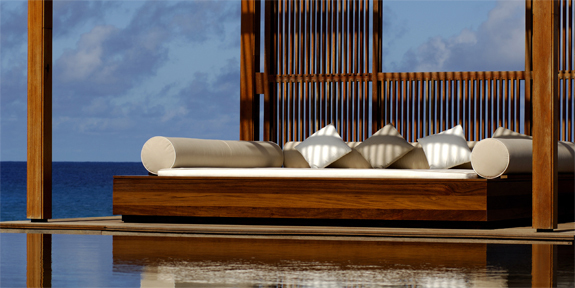 It is this setting that really sets Amanyara apart from the Caribbean’s other private, exclusive resorts. 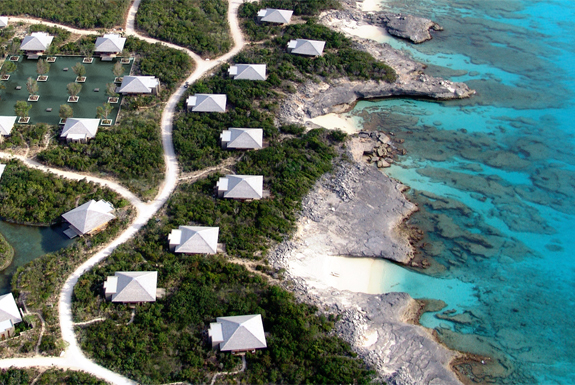 Except for the Amanyara’s main building, various gazebos and 40 villas there are no man made structures anywhere in this pristine part of Providenciales. Part of the natural beauty on offer at the Amanyara is underwater. Just off shore from the resort lays the world’s third largest coral reef system (smaller only that reefs in Belize and Australia). 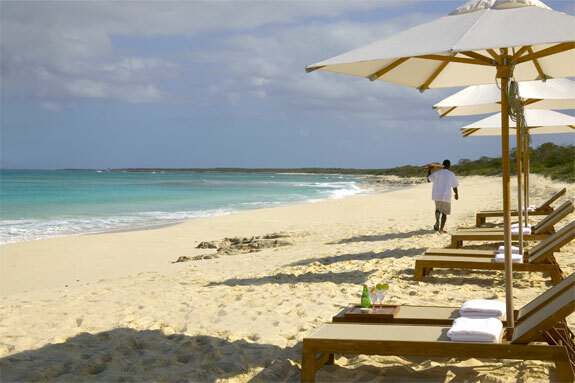 Walk to one of the Amanyara’s many little tucked away sand beaches, go for a swim with a snorkel and mask, and within a few minutes you are likely to see sting rays, squids and all manner of colorful fish. There might be no resort in the whole of the Caribbean with as good off-beach snorkeling. Sadly, a stay here does not come cheap—villas run $1,200 to $1,500 a night. 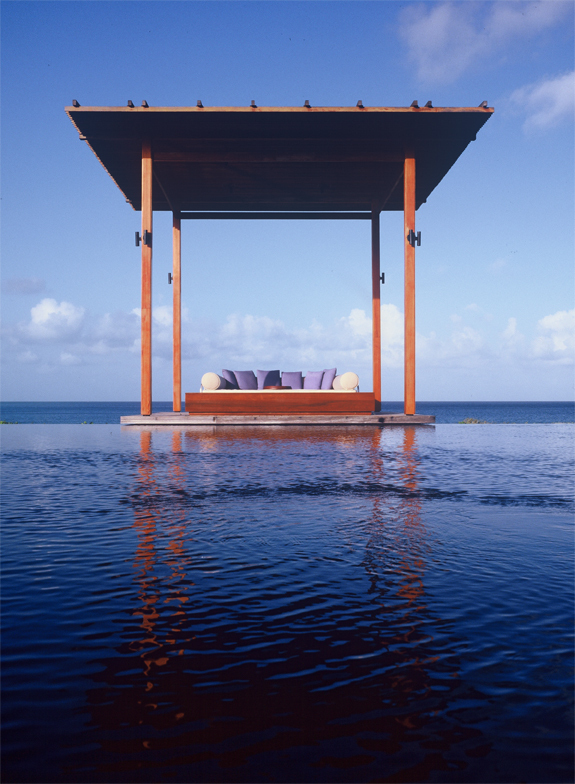 Happily, it is so easy to relax and rid yourself of worries at the Amanyara that you are unlikely to even think about how much it is costing . . . until it is time to leave and the Land Rover brings you back to the airport. This post is part of the Winter ’08/’09 Spot Cool Stuff Caribbean Week.